Two local sisters are bringing a taste of luxury to Hale, by moving their travel business into new offices in the village, doubling in size to cope with recent growth. The Real Algarve is an independent luxury villa rental company that was started in Nottingham, by Simon and Lynne Bunting. Last year, as the company turned 21, it was taken over by Simon’s daughters, Vicky Reeves and Katie Hale. Since then, the sisters have rebranded, launched a new website, created a series of marketing partnerships on The Algarve, added new exclusive properties and tripled their bookings. Last week they opened the doors to their new offices on Ashley Road in Hale and announced that Bo Hutchinson has joined the company as office manager, with Lucie Platt being recruited as office administrator. With a portfolio of over 2,000 properties, The Real Algarve prides itself on its attention to detail. 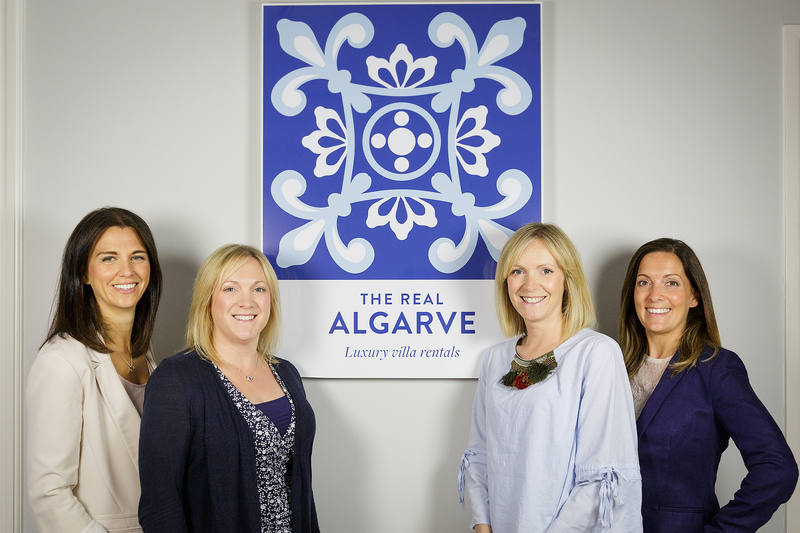 Vicky and Katie have formalised this with their 24 hour Concierge service, combining their unrivalled knowledge of The Algarve with a truly personal touch. Their local presence in Hale has already meant that they are seeing many local customers booking for their annual Algarve trip with them and due to their successful personalised business model, they are ensuring an exceptional rate of repeat clients each year. As well as the UK team, the company has people on the ground in The Algarve to ensure all elements of their clients’ villa holidays are perfect. For information on properties and bookings, The Real Algarve can be found at www.therealalgarve and their new offices are at 203b Ashley Road, Hale.